Greetings again from the darkness. Seeing Charlie Kaufman’s work described as “strange”, “weird” or “bizarre” makes me cringe a little because most of his films hit my sweet spot of curiosity, insight and expression. I easily relate to his creative vision and commentary in films like Being John Malkovich, Adaptation, Eternal Sunshine of the Spotless Mind, and Synecdoche, New York. His characters are always searching for something and trying to discern the meaning of life … or at least of their own life. This latest has Kaufman adapting his own stage production, and collaborating with co-director Duke Johnson for what is likely (for the vast majority of us) our most startling existential stop-action animated puppet cinematic experience. The unusual opening of the film is a black screen with only background noise and voices, and the first chuckle occurred within about a minute thanks to one of my favorite cultural references of the year: “Kojak, not Kolchak”. Slowly the screen evolves to show clouds in the sky, and soon an airplane appears and our first peek at Michael occurs … he’s a passenger on a flight. The vast majority of the rest of the film takes place inside the Fregoli Hotel – aptly named because Michael seems to suffer from a twist on Fregoli Delusion (a person believes those around him are all the same person in disguise). We soon notice that Michael appears beaten down, even exasperated with life. He is an author in town to give a presentation on his specialty … Customer Service. The story continues along familiar lines of a business traveler in the midst of a mid-life crisis, until things change for him when he stumbles on a couple of his fans who are in town for his presentation. One of them is Lisa, whom Michael is attracted to thanks to her innocent energy and wonderful voice. What makes her voice so wonderful? Well, it turns out that Michael is voiced by British actor David Thewlis, Lisa is voiced by Jennifer Jason Leigh, and EVERY other character in the film (male or female) is voiced by Tom Noonan. Lisa and her voice are the anomaly that makes up the film’s title … Michael is smitten with her because her voice is not like all the others – providing a spark of hope. Mr. Kaufman seems intent on making us realize how easily we can slip into a rut and simply go through the motions in life … every day and every person being pretty much like the rest. Michael has learned to wear his Customer Service mask – one who pretends to care about the issues of others. It’s a terrific metaphor for someone refusing to face the responsibility for their own happiness. His awakening occurs at the hands (and in bed) with Lisa. Yes, you should be prepared for the uncommon and slightly unsettling site of Puppet Private Parts. The clumsy passion of the first encounter between Michael and Lisa does wonders for each of them … restoring her self-esteem and awakening him from his daily slumber of hopelessness. While the story itself is quite simple, the use of puppets prevents us from getting overly personal or judgmental with the characters, and forces us to deal with the emotional and mental aspects of what keeps so many from leading happy lives. Lisa’s acapella version of “Girls Just Want to Have Fun” ignites the fuse in Michael, and just like that, both he and Lisa are jolted from their own self-imposed limitations. No longer able to just go through the motions, Michael’s overreactions at breakfast and during his presentation are all part of his re-awakening … the most profound puppet awakening since Pinocchio. Perhaps Mr. Kaufman thought we might be more receptive to his message and observations if delivered by a non-threatening puppet, and perhaps he’s correct. The message is delivered loudly and clearly … though I will probably hear Tom Noonan’s voice in my nightmares. The look of the movie and the puppets is fantastic, and Carter Burwell provides yet another spot-on score. Greetings again from the darkness. Stephen Hawking would most certainly make anyone’s list of the most fascinating people to have overcome severe obstacles in life to achieve greatness. Even today, at age 72, Hawking remains one of the foremost physicists and cosmologists. His extraordinary mind now 50+ years trapped inside a body that failed him, and as we learn, should have killed him by the time he was 23. Director James Marsh is known for his work on two documentaries: Project Nim, and Man On Wire. His flair with reality in those two films is mostly kept in check with this conventional biopic. Based on Jane Hawking‘s book “Travelling to Infinity: My Life with Stephen”, the film does a nice job of showing us the stages of his motor neuron disease, while never digging too deep into the resulting hardships for Stephen or Jane (his wife). Eddie Redmayne (Les Miserable, My Week with Marilyn) delivers the type of performance that often results in awards. His physical contortions capture the Hawking we have all seen, yet he also emotes the charm and wry humor that accompanies his genius. Jane is played by Felicity Jones (so terrific in Like Crazy) and since it’s based on Jane’s book, we are provided a glimpse into her strength and tenacity as she refuses to give up on Hawking or their relationship. Some basic science is touched upon here – mostly through beer foam on a table or the glowing embers from a fireplace, but it’s highly recommended that you read Hawking’s best selling book “A Brief History of Time” if you have not already done so. It’s written using language so clear and concise, that even I almost understood it! Much more than science, this film is about the tenacity of Jane and her ability to keep Stephen moving forward while still pursuing her own studies and raising their three kids. The evolution of their relationship is deftly handled, even as they each drift away towards others. When the break eventually occurs, it is the one moment in the film where heartfelt emotion is on full display. Oddly enough, it’s more relief for both parties than disappointment. In light of the doctor’s original estimate of two years to live, this moment is quite poignant. Excellent support work comes courtesy of David Thewlis as Hawking’s professor and mentor, Emily Watson as Jane’s mother, Simon McBurney as Stephen’s dad, Charlie Cox as Jonathan (Jane’s second husband), and Maxine Peake as Elaine (Stephen’s second wife). Also of note, Harry Lloyd plays Stephen’s classmate and friend Brian. Mr. Lloyd is the great, great, great grandson of Charles Dickens. 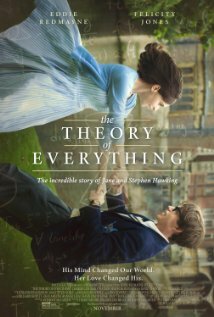 You can see this one without being intimidated by the science, and instead get a glimpse at Hawking’s challenges and the strength of Jane. SEE THIS MOVIE IF: the personal relationship and struggles of Hawking and his wife are of interest to you. Greetings again from the darkness. A surefire indication that a movie is a must-see for me are the words “based on a story by Edgar Allan Poe” … no matter how loosely. 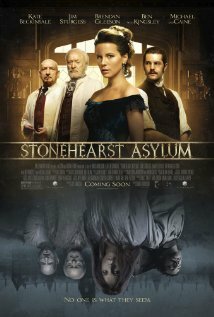 Then, set the film in a creepy turn of the 20th century insane asylum, and cast Ben Kingsley, Michael Caine and Brendan Gleeson, and consider me exceptionally excited. From the opening moments, there is a certain nostalgic or throwback feel.It recalls the “B” movie feel of so many from the 40’s and 50’s that I grew up watching on late night TV. Imagining the production in Black & White rather than color, and picturing Vincent Price as one of the leads, probably give this one more credit than it earns. Despite the stellar cast – also featuring Kate Beckinsale, Jim Sturgess, David Thewlis, and Sinead Cusack – it doesn’t manage to generate any real suspense or feeling of danger. Director Brad Anderson works mostly in television, but has kicked out some films of interest along the way. These include Session 9, Transsiberian, The Call, and especially The Machinist. Here, he has an exceptionally deep and talented cast, yet manages to waste Mr. Caine and Mr. Gleeson with minor roles. Even Ms. Beckinsale is treated as simple eye candy with a stunning wardrobe that defies logic, given the circumstances. Three characters that deliver some fun are Sophie Kennedy Clark as Millie (the nurse), David Thewlis as the comically named Mickey Finn, and of course Sir Ben Kingsley as Silas Lamb. Kingsley is one of the few actors who can walk the fine line between elegance and madness, and leave us wondering (even if we really know). He thrives on scenery-chewing roles and this one definitely qualifies. The script avoids any real insight or statement on the cruel treatment of the mentally afflicted from the pre-psychoanalysis days brought on shortly thereafter by Freud. Allowing the inmates to run the asylum does make it clear that insanity comes in many forms with differing degrees. In fact, I would challenge viewers to name one truly sane person in this film. Loosely based on Poe’s short story “The System of Doctor Tarr and Professor Fether”, what the film lacks in tension and terror (it’s not Shutter Island), it mostly makes up for in production design and nostalgia. Greetings again from the darkness. In the opening sequence of Saving Private Ryan, director Steven Spielberg provided us with one of the most horrific and terrifyingly realistic and violent examples of war ever shown on screen. Here, he takes a much different approach. Though the bulk of the movie takes place during World War I, Spielberg manages to withhold the brutal atrocities, while never once losing the impact and fear experienced by the soldiers. 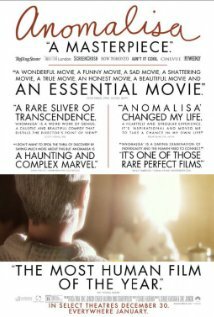 And while it’s uncertain whether this approach makes for a better film, it is obviously a more accessible and uplifting story because of it. Based on the children’s book by Michael Morpurgo, and of course on the hugely successful stage runs in both London and New York, this movie is really the story of an unbreakable bond between a sincere farm boy named Albert (newcomer Jeremy Irvine) and a majestic horse named Joey. We witness the early bonding and training sessions between the two, which allows us to swallow some of the more improbable coincidences that occur later in the story. When the war breaks out, Albert’s dad (Peter Mullan) sells the horse to the cavalry so that he can save the farm by paying the landlord (David Thewlis). Fortunately, Captain Nicholls (Tom Hiddleston) agrees to keep Joey as his personal horse and return him to Albert after the war. War is unpredictable, and Joey gets passed from the British to the Germans to a French farmer’s daughter, back to the Germans and back to the British. Along the way, we witness what a remarkable creature the horse is. Were he a man, he would be a most decorated officer. Instead, we witness how little value the military places on animals … even the beautiful ones. There are numerous scenes that make will make you uncomfortable with the cruelty shown, but just as many that will make you smile with joy. The already famous scene that features Joey’s unfortunate conflict with barbed wire and fence posts will have you squirming in your seat, while also scratching your head in wonderment. Though many of the events and sequences are a bit of a stretch to believe (the time-out in No Man’s Land), the one thing you will never doubt is the beauty of the film. It’s epic nature recalls Doctor Zhivago or Lawrence of Arabia (though not at the overall level of either of those films), and the photography reminds me of John Ford‘s best work. Off the top of my head, I would say it is the most beautifully photographed movie since Terrence Malick‘s Days of Heaven in 1978. Spielberg’s long time DP Janusz Kaminski is at his best here and will surely be recognized by the Academy for his cinematography. Many of the British actors are recognizable (Emily Watson, Benedict Cumberbatch, Toby Kebbell, Eddie Marsan, David Kross), but it’s key that Spielberg cast no “movie stars”, only quality actors. The stars of the film and the story are the horse and the visuals. It should also be noted that the great John Williams delivers another perfect score … one that would run away with the Oscar in many years. No need to be frightened off because the story is based during World War I. It’s not for the youngest of kids, but this is an uplifting, sentimental and emotional movie for most everyone. It is peak Spielberg working with sentiments and subject matter with which he so excels. SEE THIS MOVIE IF: you enjoy being swept away by the emotions and grand scale of an epic film OR you would like a primer to war films that goes a bit easy on the gore. Greetings again from the darkness. While it is clear that writer John Orloff and director Roland Emmerich (Independence Day) believe that Edward De Vere, The Earl of Oxford, and not Will Shakespeare, wrote the infamous and iconic plays we have celebrated for 400 years, my advice is to watch this as a Hollywood movie and not a docu-drama. Hollywood is at its best when exaggerating, twisting and dramatizing historic events and figures .. .and presenting the lot as fact. You may be an expert on Shakespeare and even Elizabethan history, but whether you are or whether you are not, my guess is that you will find this to be interesting and thought-provoking. You may agree with the idea that Shakespeare was not the prolific and talented author, but this movie provides only one possible alternative … with no scientific proof or actual documentation. We see Rhys Ifans and Jamie Campbell Bower portray Edward De Vere as the older and younger version respectively. Both capture his passion for writing and frustration at being unable to live the life for which he was born. Vanessa Redgrave and her real life daughter Joely Richardson portray Queen Elizabeth at the older and younger stages, and we certainly get a distinctive impression of how “the Virgin Queen” may have been mis-labeled as much as any figure in history. Many lovers and illegitimate children are mentioned and the web of secrecy would have been exhausting, given the vast responsibilities of her position. Rafe Spall portrays Will Shakespeare as what one might call The Village Idiot. The buffoonery we see from this man is an extreme that weakens the case for De Vere, rather than strengthen it. Though talented writer Ben Jonson (Sebastian Armesto) was De Vere’s first choice, the lack of morals by the illiterate actor Shakespeare allows him to seize a capitalistic opportunity and soak up the audience love. The best part of the film is the realistic look and feel of the streets, the Globe Theater and costumes. Rhys Ifans is exceptional in the role of De Vere, and the story itself plays out much like one of Shakespeare’s plays. The downside is, I believe most will find the multitude of characters and time-lines and sub-plots to be quite confusing at times. Don’t take a bathroom break or you’ll miss new babies being born and royal overthows being planned.